Mark your calendars now for the Houston Firefest. We do a lot around the city but this is our very favorite Houston event. I may be biased since I have 3 junior firefighters who spend much of their day running around the house making siren noises and putting out “fires”, but this event is great for all ages. Check out our review HERE from last year. Houston Firefest is on the grounds of the HFD Val Jahnke Training Facility on October 20, 2012, from 10:00am to 5:00pm. 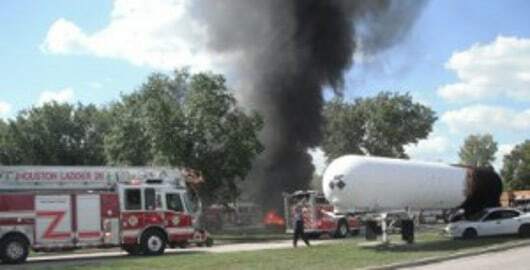 Throughout the day, firemen put out real fires, repel down buildings, stage a tanker fire and more. There are activities for the kids, including using a real fire hose, taking a fire safety class and bouncing in the jump house. This event is FREE and parking is right across the street. Do not miss this!